We are starting the next BM Edition with BM#54. I will be starting with one of my favorite themes, the Deep Fried Love. Well in this theme, you get to showcase, enjoy all snacks, dishes that are deep fried. Deep fried mostly reminds me of snacks. However I have made Virudhunagar Ennai Parotta, and Delhi Paratha Wali Gali Mixed Paratha. Both these Indian Breads are deep fried, and tastes amazing! So for the week 1, we going to be enjoying a hearty snack instead of these heavy duty parathas. For day 1, I have a childhood favorite, Bread Roll. Though I had enjoyed this much at my friends place, Amma had never actually made it herself. Well she was always busy making so many other dishes! When I had made it first time, those were mini serves and with familiar vegetables. 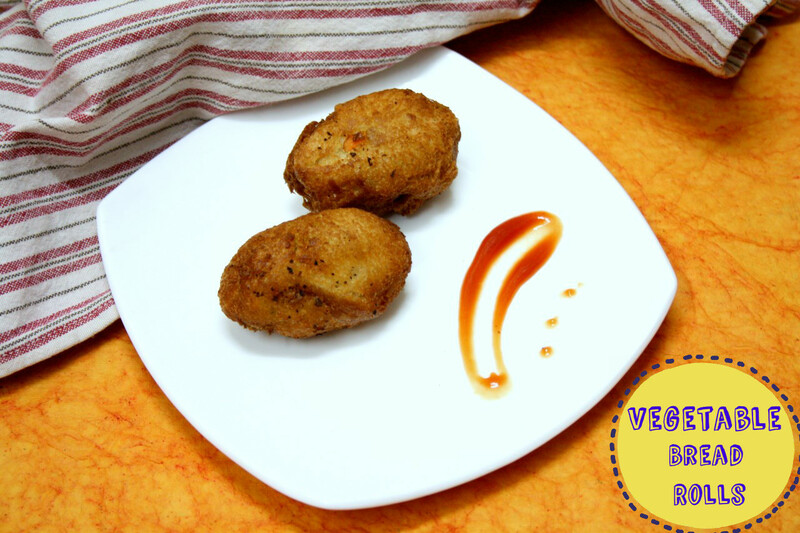 Today’s recipe has broccoli and carrot and tastes ultimate after being fried! The day I was making these, I had about 6 other dishes being done. So I was almost giving it up. Somehow a last moment decision to make it as planned and freeze the entire batch came to mind. This makes a great freezer friendly snack. You can make it and freeze to be deep fried later. If you are averse to deep frying, try baking it as well. It should come out as good as the other. Since the whole day was spent cooking all the snacks, I was not able to taste. However Konda and Athamma enjoyed and they had to skip their dinner by the time I had completed all the dishes. Konda said the broccoli gave a wonderful taste to the stuffing, so you know how to use your new vegetable right. This was the first time I was cooking with broccoli and wanted to have a friendly dish to get used to it. So try this next for your party, will surely be a great hit! Wash and blanch the broccoli, keep it aside. Wash and dice the carrots into tiny pieces. par boil it for MW 5 mins. MW potato for 4 mins. Mash potatoes well, add carrots, broccoli, green chilies, salt, red chili flakes and mix well. ensure you mash the carrot and broccoli well. Divide mix into small equal balls. Press well. Meanwhile, soak the bread slices in water and squeeze out the water. 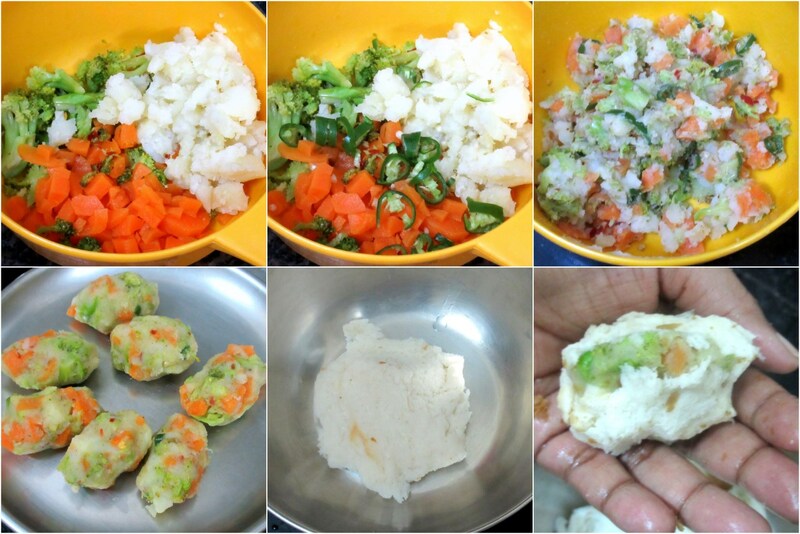 Spread the bread slice on your palm and place the vegetable ball and cover it completely. Roll and press well on all sides to ensure the bread covers the stuffing inside. 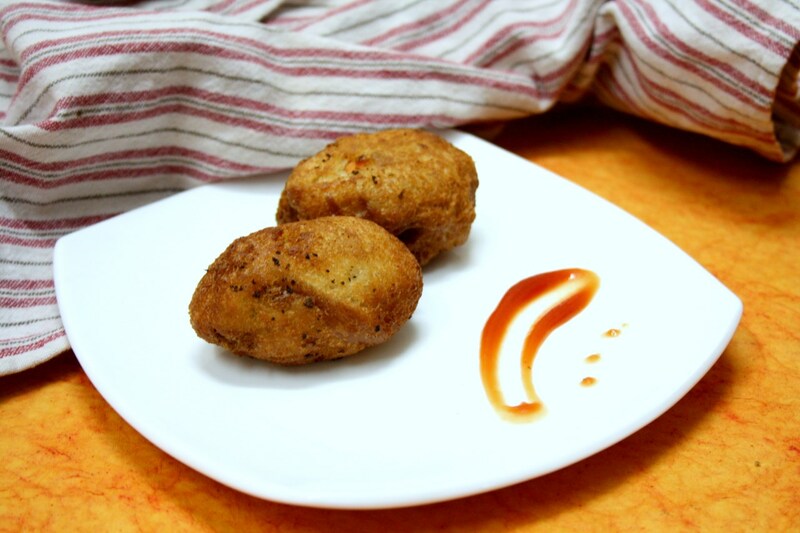 Heat a pan with oil and when its hot, deep fry the stuffed bread balls. Cook on all sides till the balls turn golden in colour. Drain out using a slotted spatula and keep on a kitchen towel. 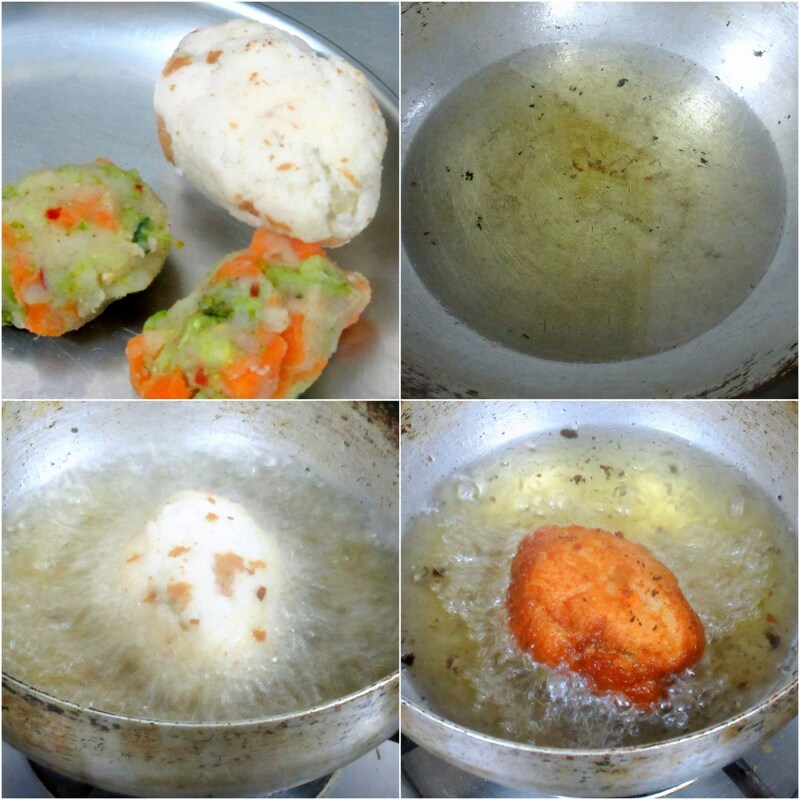 These vegetable balls can be made ahead and frozen. Since the outer layer is bread, it gets nicely fried in oil. I like the combo of broccoli and carrots . It makes it healthy and colorful, and baking is such a wonderful option . broccoli in rolls sounds interesting and i love the vibrant color of the rolls. I love the stuffing that went into these yummy rolls. Mine's been never a deep frying family, even when I was growing up…but this seems like such a great treat. Though I am sure I won't be cooking 6 dishes in a single day, I might use that freezer friendly tip to make these ahead and cook for a get together..
OMG, those bread rolls look insane Valli. Wish I could grab a couple out of the screen — so colorful, crispy & delicious. 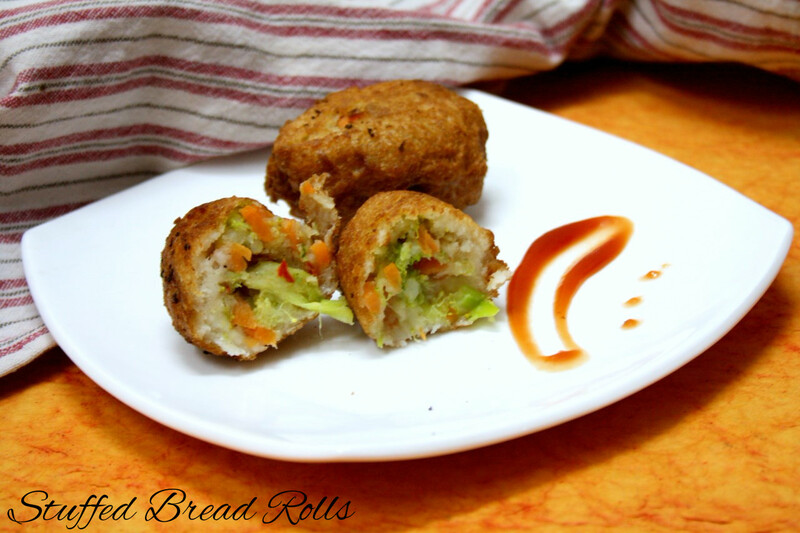 yum and healthy bread rolls..looks sooo crisp..
Everyone's favourite at home.. can have this rolls without any guilt.. I too made these tasty bread rolls, will post them soon.